Finnish Lapland is a region, home to vast boreal forests and rugged fells, snow-dusted in winter and bathed in the Midnight Sun in summer. 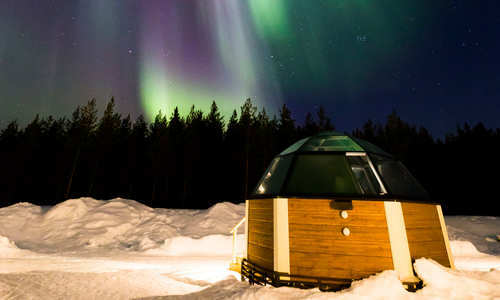 It's the focal point for a whole host of recent Nordic innovations, not least the glass igloo, which is surely among the most enchanting ways to experience the aurora's dancing light show. Finland has many peppered throughout its northern reaches, such as the heated domes of Levin Iglut, while the likes of Apukka Resort’s Aurora Wagons – mobile carriages with glass ceilings – take the concept even further, making for dazzling displays. Our Glass Igloos and Northern Lights combines an unforgettable night under a glass with days spent cross-country skiing and sampling Lappish delicacies in the wilderness. 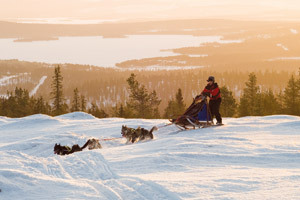 Indeed, Finnish Lapland is a top destination for whole host winter activities, from snowmobiling and snowshoeing to ice fishing and husky safaris. 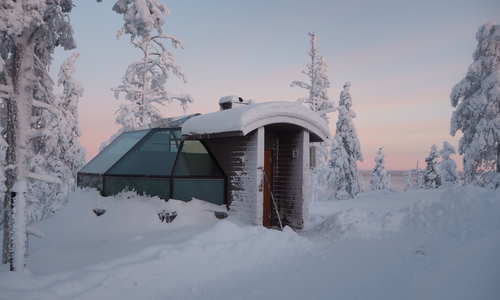 Our Lapland in Style itinerary encompasses many of these magical experiences, all from the spectacular architect-designed Arctic Treehouse Hotel. And of course, who could go to Lapland and forget to visit its most famous resident? This is Santa’s year-round home, after all, and our Santa in Lapland Harriniva Break offer the chance to meet Father Christmas in his log-cabin home. And let's not forget the rest of the year, with autumn in particular offering the chance to spot the Northern Lights before the onset of winter's chill. Saunas are also an integral part of Finnish culture; the country has two million of them after all. 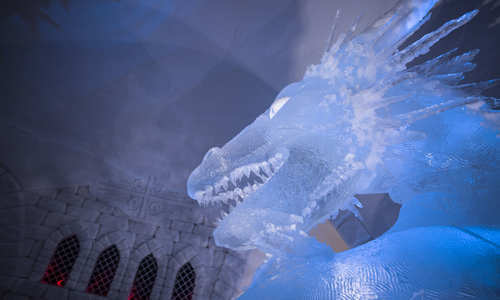 And, the national pastime of broiling in a sauna before jumping into the nearest body of icy water is an experience not to be missed – head on our Glass Igloo and Ice Hotel Holiday, where the Arctic Snowhotel & Glass Igloos resort offers you the use of their sauna nightly, while experiencing two unique stays in one trip. Experiencing this quintessential Nordic tradition will burn off calories, relieve stress, keep colds and flu at bay, and allow you to make a deep connection with Finnish nature and culture. Finnish Lapland is also home to the Sami people – as the only indigenous people in Europe, gaining an insight into their way of life is a fascinating experience. Their traditions are still practised on Finland’s tundra, and our Engholm Husky Lodge holiday allows you to explore the wilderness with a Sami guide by visiting a settlement of reindeer herders. Venture further south and you’ll find the chic capital of Helsinki. Positioned on a rocky headland surrounded by the Baltic Sea, it's a design and shopping hub with neoclassical buildings and charming town squares. Helsinki also offers a stunning gateway to Finnish Lakeland, a spectacular archipelago of 180,000 lakes. 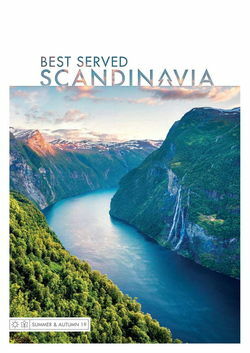 One of the most notable is Lake Saimaa, perfectly explored with our Ice Skating Holiday in the winter, and our Best of Finnish Lakeland Self-Drive in the summer, which includes scenic cruises, hiking, cycling and swimming in sparkling lakes. While much of Finland’s magic lies in its snow-covered canopies, in the summer the southern reaches, with their quaint villages, rural beauty and vast lakes, make for a wonderful trip. Our Southern Finland Self-Drive explores the heritage of the south, where you’ll discover ancient fortresses and art galleries alongside coastal bike rides and sampling local delicacies. Venture slightly further north into the central swathes and you’re ideally positioned to explore a plethora of wildlife, including lynx and wolves but most notably thousands of brown bears. Our Bear Watching in Finland itinerary makes for an exciting trip where you’ll stay among the cloaking Finnish forests in a spa hotel, spending your days exploring the surrounding nature and spotting the imposing brown bear. Finnish Lapland is an area of wilderness equivalent in size to Portugal. 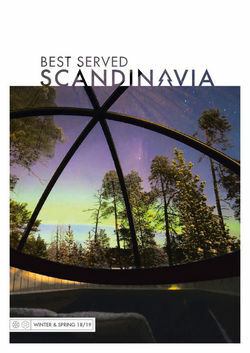 Home to the Sami people it is a landscape of legendary tales, dazzling beauty and exceptional wildlife. Helsinki is Finland’s cosmopolitan capital and the place many visitors choose to concentrate their visit, with its reputation for cutting edge design and lively entertainment the main allure. Finland is sometimes referred to as ‘the land of a thousand lakes’. The actual figure is far closer to 180,000, with the majority found in Eastern Finland.